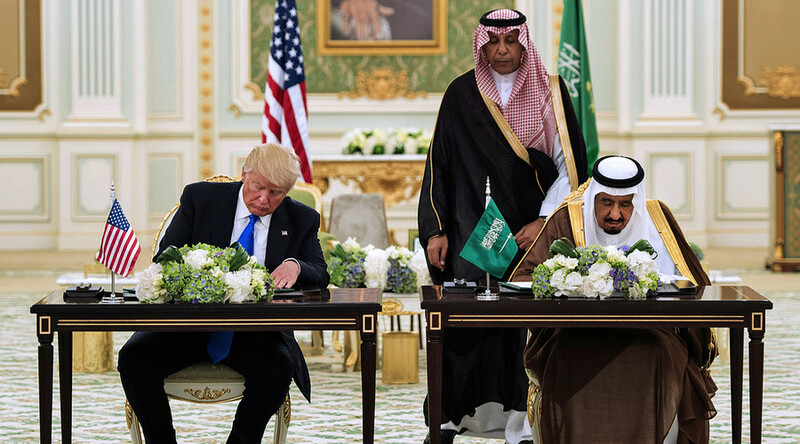 After failures in Iraq and Afghanistan, the US doesn’t want to sacrifice their blood and treasure, preferring to use local proxies to fight their wars; the Saudis are willing to fight unwinnable wars for the US, says geopolitical analyst Sharmine Narwani. 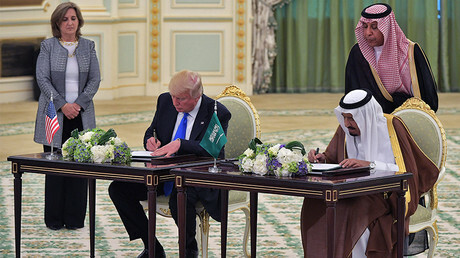 During his first overseas trip as president, Donald Trump, signed a series of deals with Saudi Arabia which totals more than $350 billion over 10 years. That includes a $110-billion arms deal that takes effect immediately. Trump is set to meet with a number of Arab leaders from, in his words, “all across the Muslim world.” Iran, however, is not on the list. RT: Trump has slammed the country’s approach to women’s rights. Do you expect this topic to surface during the trip? SN: I don’t, actually. I think this administration has made it clear that human rights is not on the top of their agenda. I am not sure it actually was before. But in this case, they are overtly claiming that it is not on the top of their agenda, that interests prevail and will continue to prevail during the course of this administration. …as a businessman, which he keeps repeating, his mantra moving forward in foreign policy will be ‘where can he make deals to benefit US coffers’ and help with his program of ostensibly making America great again, efficient again, wealthy again. 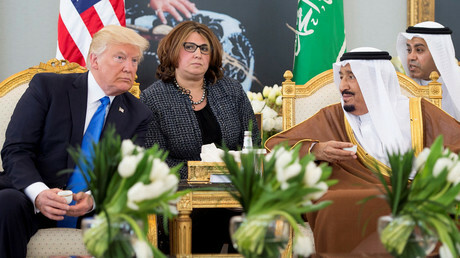 I think those things are absolutely at the forefront of his considerations with the Saudis in particular because he said before that he seems to think that the Saudis have untold wealth. He has even mentioned the trillion-dollar figure in terms of sucking every drop of cash out of that country. And I think he will do so because he has no value for the Saudis other than their money. I think he thinks he can make a quick buck, a considerable buck of the Saudis now and use them to further his goal of isolating Iran and perhaps even attacking Iran and then turning that around to his benefit. He is going to find himself at a dead end like most American leaders have in the last few decades, trying to take on the Islamic Republic and trying to meddle in the Middle East.